 By Jared Berezin and Robert Isbell, Creighton University MBA students. Nate Dodge enjoys giving tours of the office of the NP Dodge Company located on Dodge St. in Omaha, NE. Dodge points out what he likes to call the “Wall of Death” in the conference room; photos of every NP Dodge that has worked at the company that bears their names. Right outside the conference room, is one of three remaining original surveys completed by Mr. Dodge’s great-great-great-uncle, Grenville M. Dodge, for the route of the Transcontinental Railroad. It is these reminders of rich history and tradition that guides America’s longest running real estate company. Mr. Nate Dodge graduated from Tufts University in Medford, MA and promptly took a position banking trainer at a bank-consulting firm in Washington, D.C. After a few years, Dodge moved on to Fannie Mae, first as a trainer but then in the specialty targeted loan program such as group homes for the disabled. Prior to taking a job at Fannie Mae’s Chicago office, Dodge’s father, Sandy Dodge, asked if he would come back and work at the family business, the NP Dodge Company. Nate Dodge has been at the NP Dodge company for the past 23 years, not including some time as a college student shoveling snow at Dodge owned apartment complexes. Dodge worked his way up in the company becoming the president of the firm two years ago with the retirement of his father. I enjoy watching people grow in abilities, developing talent, and sort of having a team working together and just pulling for the cause. It’s a great moment when you can have everybody working in that one direction, positively improving this place. That’s my number one goal, making this place, better, and better, and better. When you have that, it’s a good thing. That’s my favorite thing. I don’t like firing people. It’s the hardest thing for me personally since I know I am taking away someone’s livelihood, and so we take that as an organization really seriously. You have to do it, it has to occur. I mean I doubt if there is anyone who said they enjoy it. It’s personally the hardest thing for me because of what it represents. Even when someone crosses some of the unwritten rules of business; cheating, stealing, lying. Something that would affect our brand, even when it’s an easy decision, it’s incredibly hard to do it. Do your employees have to read a code of ethics? The answer is some of the most dishonest companies in the world have a code of ethics. You know, yes, we have a code of ethics and yes, it’s out there. How does the organization live it? How does it stay alive in that organization? I think that’s way more important than making someone sign a piece of paper that said that they read the code of ethics. And frankly, the beast follows its head. It’s incredibly important for me to meet everyone we hire and I get to tell them that integrity is the most important part of our firm. It’s the only way you get run out of here quick, is if you lie, cheat, steal, or don’t share a problem. And that’s the thing, you get to make mistakes, you know, making mistakes is how you learn. You can’t make the same mistakes over and over again. But you get to make mistakes, that’s how this place grows. Knowing that mistakes are part of the process is important. What you do with them, how you share them and learn from them, that’s an organization that grows. And only by them hearing it from me, hearing that the president of their company is sharing his mistakes every single week, that’s how you live, I think. I think it’s better than reading something for later on. When you think of the word ethics, what does it mean, even in a general sense. Treat others the way you want to be treated and the way you expect to be treated. I try to live by that and put myself in the role of the other person. Treat them with dignity and respect and how they should be treated. It transcends law. It is its own level particularly in Nebraska, kindness, gentleness and dignity is so important and I try to do that. Is there someone you have taken as a role model? My parents. Both of them are incredibly strong when it comes to integrity and ethics. It’s interesting in that they are both very different in how they’d approach it. My mother tends to make things more complex and sort through all of the parts of it and analyses each piece and comes out with an answer. My dad, he boils it down to the simplest facts. Generally, it’s what is the truth. He comes down to what is fair. Dad is beholden to the truth and it’s incredible in how he does it. He removes himself from the situation or even the company. He can somehow be incredibly unbiased in his thinking. When your role models are your parents and you work in a family business is there a difference between your personal and business ethics? I hope not, I hope there is no difference between those. I hope it’s inseparable, but I don’t think there’s a difference. Can you describe an ethical situation that was easy as well as one that was difficult? When it comes to ethics, there is only one choice so I have the same example for both. The easy part is making the decision. The hard part is walking away from the business. We have a title company, and title companies insure the transaction. They insure one landowner out of title and pay off those mortgages and put another landowner with their new mortgages in place with all the proper documents. Well, we had somebody who was coming to us and the volume of business was kind of incredible until we figured out that this person was going to homeowners in dire financial situations. He figured out what they were willing to sell their house for, have them sign a contract, then sell the house for a higher price and pocket the difference. He would make money on the trade. In real estate, that’s unethical. You are an agent of someone and you are fiduciary to them. You have to work on their behalf. It’s not against the law but it’s against the ethics of our business. But the person was doing a large volume and it would have made a lot of money for our title company. The good news is I never had to make that decision, the president of our title company said, “we can’t do this business anymore.” Absolutely, we would have made a lot of money off this, but we can’t be a part of that. We can’t be a party of that transaction. It’s hard because you want to be profitable and make money, but in some cases, you just have to say no. That person can do what he wants, but we aren’t going to do that here. So, there’s an example of that. It’s hard because I like to make money, not hard because we can’t go for that. Do you think the environment you’re in should shape your ethical conduct? A positive example would be here in Omaha, but what about outside of the US, where some business is conducted with bribes and this practice is viewed as normal. So, we’re lucky, our businesses are very local; I think we get to pick and choose but you don’t cross your own ethical lines. I don’t think you can. I mean, part of our culture is that you get to walk away from profit and business if it’s unethical. And so, you just have to take that further out. We’re always competing with people who are doing unethical things. For example, our insurance company came up against a bank that owns an insurance company. One of our insurance clients, a fertilizer company, did all the fertilizing for the bank’s property. One day, the bank told the fertilizer company if you want to keep our business, you’ll have to put your insurance with us or else. We lost business because someone else crossed an ethical line. Now, we manage way more property than someone like that, and we would never coerce or trick someone. You’ll always be competing with people who are willing to cross a line that you are not, I hope. But that’s business and you have to be comfortable letting those things go away. I want to go back to a quote we pulled from your dad, Sandy Dodge, “A great deal of our problems in the financial meltdown were ethical. Much of what was done was legal but simply was not ethical.” What do your father’s words mean to you now looking back? Dad is just spot on when it comes to ethics. The other thing he said in that interview was about executive pay. During that meltdown executives were getting paid an amazing about of money and they were also hiding behind the law during that time. I worked for my dad then and he was as disgusted by that as was I, and what was funny is that the two of us took the top 25 executives that were being paid and we found out what their pay was compared to their average employee. It was unbelievable. We then did the same to us. They get paid something like 1,000 times more than their average employee. Dad and I did the same test and it was something like 2.7 or 3.5. It’s just part of this firm. I think what’s different is when you’re in a huge company; you don’t know or meet with those people. You can kind of distance yourself from them in more ways than just not knowing them and I hope we never get to that place. That’s why we always want to meet everyone that we hire. I never want us to be at that place. Comparing that to the other places you’ve worked, did you find things in those places that you brought here and said I don’t want that anymore? Just anything that you saw and wanted to change when you came to work here at NP Dodge? Yes. I saw in some of the environments that I worked in how people would sort of blur the lines of what I thought was ethical. You would see it mostly in the leadership and it almost sent the message that that’s okay. Not in all cases, but what it solidified in my thought is that I never want to have an organization where the lines could be blurred. That was important. Now having won the BBB Integrity Award is it significant getting that outside accolade? How does that make you feel and do you think it says something to the employees? I know it says something to the employees and to the sales associates because when we were presented with that award I took the president of the residential company and we went to each of the offices and sort of celebrated it. What I saw was a lot of people taking selfies of the award with them. Through social media and how they were sharing this online I saw that it was significant to people. So, I like that. I also think what was gratifying was something that I truly believe is a core part of our culture and a core part of the fiber of our company was being recognized by an organization that also has integrity. So that was gratifying. You can’t help but like that this was celebrated. I feel like that is part of this firm and I feel like that is something that’s a little different in this 162-year-old company. That lives here and while I’m here it’s always going to live here. It’s always going to be a part of what we do. Beyond awards, the thing I am most proud about is the thousands local organizations that people in our firm are giving time, talent, and treasure too. The way your firm lives in a community is that you give back and you help build your community. From an ethical community, you don’t just live in a community you have to build it. You said one of your favorite parts of this job is getting to see people grow. What is it that you hope your employees get out of this when they grow? What do you want them to gain? It’s funny because as you were saying that I was thinking about the advice. What’s the advice to people coming up in business and what do I love? I have a similar answer, which is that trust is the coin of the realm. What’s valuable is trust. When you are trusted, business decisions and relationships all move far better and particularly right now in this time of planted news and fake news. Going to some place that you trust the information and you trust where it’s coming from is incredibly important. In our business when someone is buying a home they have to trust the sales associate. That they’re looking out for their interest. The best thing that someone can do for their personal brand is to make sure they’re a trusted place. That would be my advice. Particularly in this day and age when you can get information in seconds. They key is, is it accurate? So always being in that place where you are giving the truth the best you can. If an employee comes to me and I say something, you don’t have to write it down. We’ll do it. And we’ll lose money on it (hopefully not) but we will. If I say it, we do it. If dad says we’re doing it, we’re doing it. You have to be trusted. That would be the thing. I would work in any organization and follow through and do what you say you’re going to do. Anything else you want us to know or make sure we include about you? One thing I would say is there’s a Nebraska way of doing things. Whenever I’d had a little bit of an altercation with someone, Dad would always say, “have you sat on their sofa? Have you gone up and knocked on their door, sat in their house, had a cup of coffee, and worked it out?” If I ever say no to that he says get back at it. We’re not going to fight here. You go talk it out. One last thing I will give you that I remember which was then, as I have grown in the company question. How my ethics have changed. I just know that if you grow in this company you must have good morals. If I didn’t have that, they wouldn’t have allowed me to run a division. I couldn’t. I’m not sure it has developed in my time here but I know how important it is in this company. If you’re rising to this level then you’re honest. You’ve already been put to the test. Out of the six division presidents, five of them started from the ground level. They rose because they are excellent and part of that is their ethics are excellent. I think that’s all the time we have. Thanks for your time.